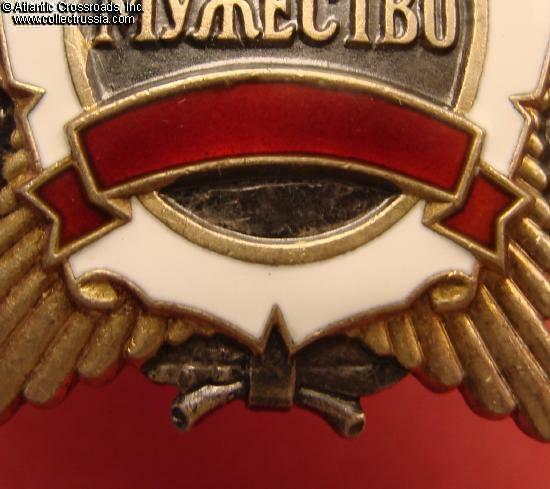 Order for Personal Courage of RSFSR, Transitional Type, #1748, 1992-1994. In silver gilt and enamels; measures 48.2 mm in height (incl. 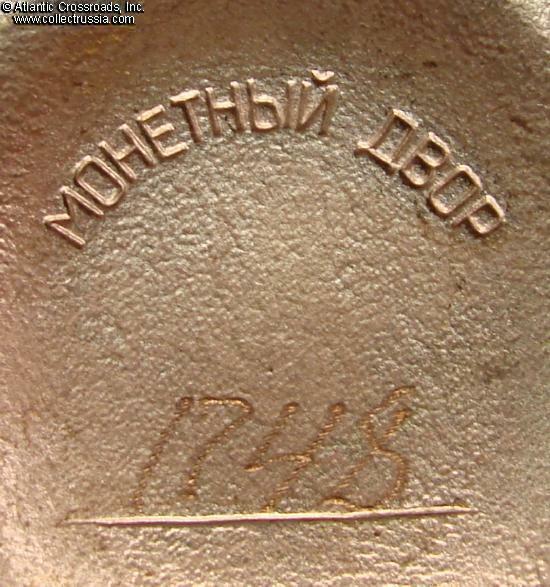 eyelet), 44.6 mm in width; weighs 32.3 g not including the suspension and connecting link. 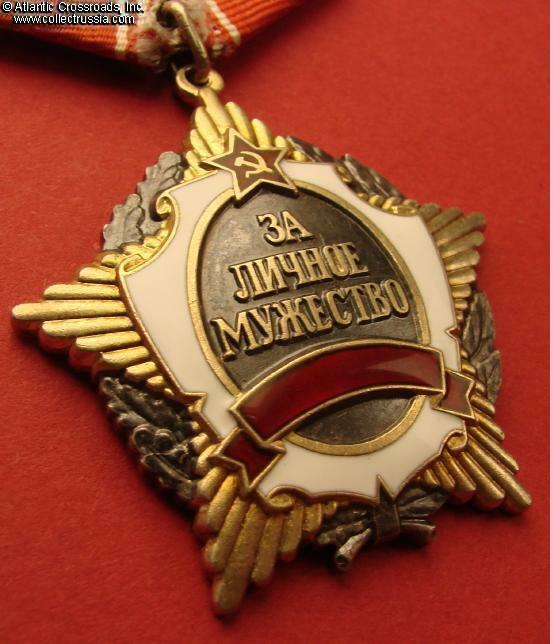 The order features blank red scroll unlike the Soviet Order of Personal Courage carrying the inscription CCCP ("USSR"). 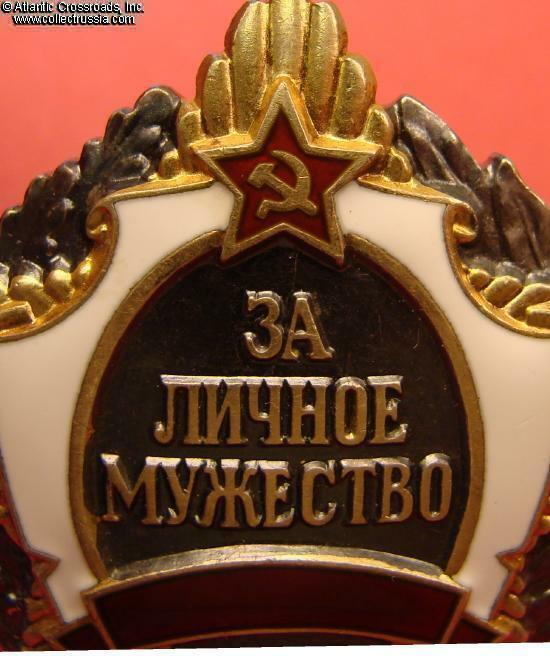 This transitional 1992-1994 type existed only until the introduction of the all-new Russian award system. 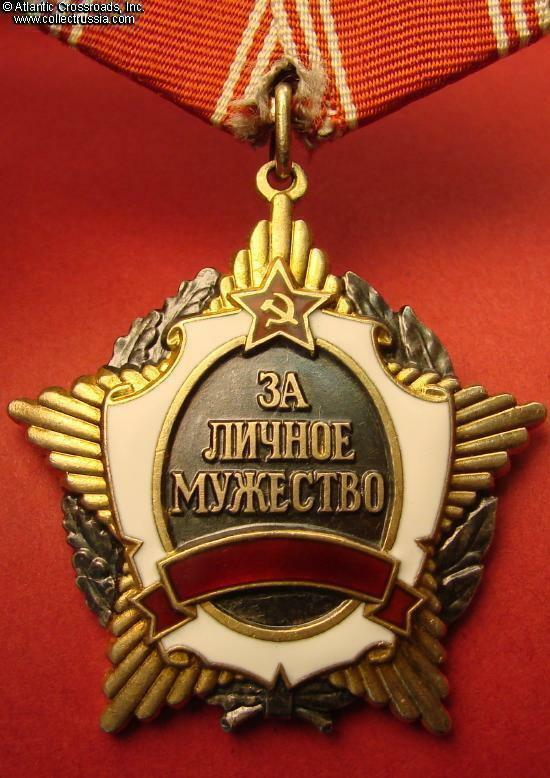 Note the characteristic "deep dish" construction of the reverse, same as the USSR Order of Personal Courage, Type 2. In excellent condition. The enamel is essentially perfect having only a few microscopic contact marks, no flaking or other wear. The raised details of the rays, wreath and lettering are pristine, and so are their finishes. Comes on original suspension, a two-layer model in aluminum. The old, probably original ribbon is nicely preserved and clean. The connecting link is original and has not been cut.